Tina + Kevin wanted something fun and different for their small destination intimate wedding, but they also wanted to have a luxury experience for them and their guests. 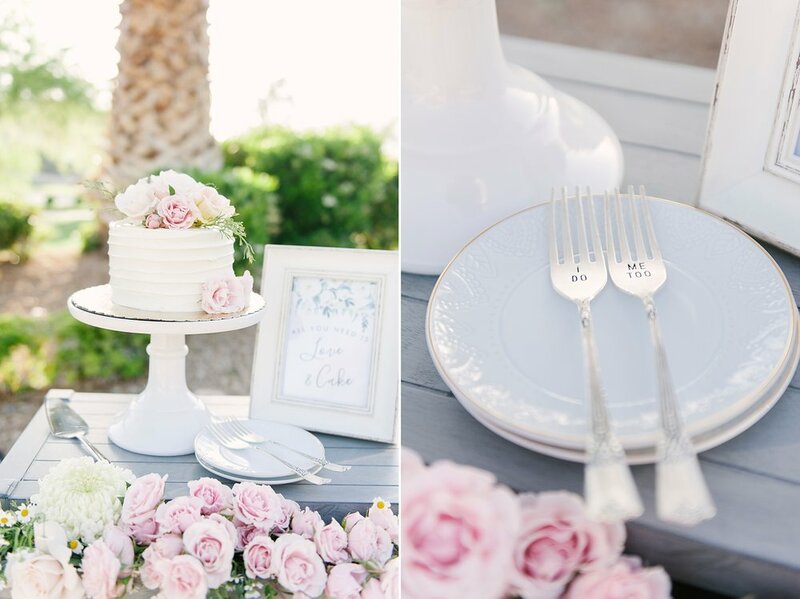 Cue in Desert Elopement Las Vegas! They focus on upscale ceremony packages for couples wanting something unique and stress-free for their wedding day! They help choose the location that best fits your vision and then supply the most important aspects of a wedding ceremony, so you don't have to worry about anything! 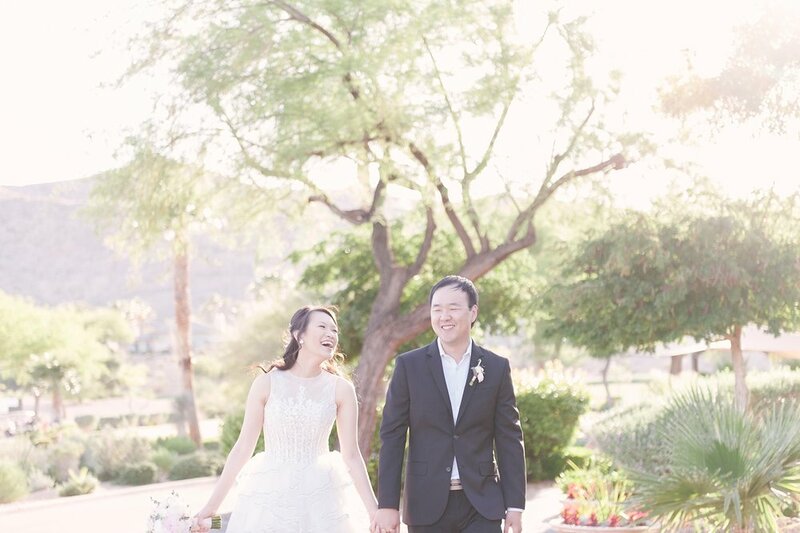 Tina and Kevin chose to host their small ceremony with about 20 guests at the gorgeous Red Rock Country Club, which is one of our favorite venues in Vegas! Just check out all the cute details from the unique balloon arch created by the talented Layers of Lovely and the bride's super cute short dress! Tina + Kevin had a quick first look prior to their ceremony. 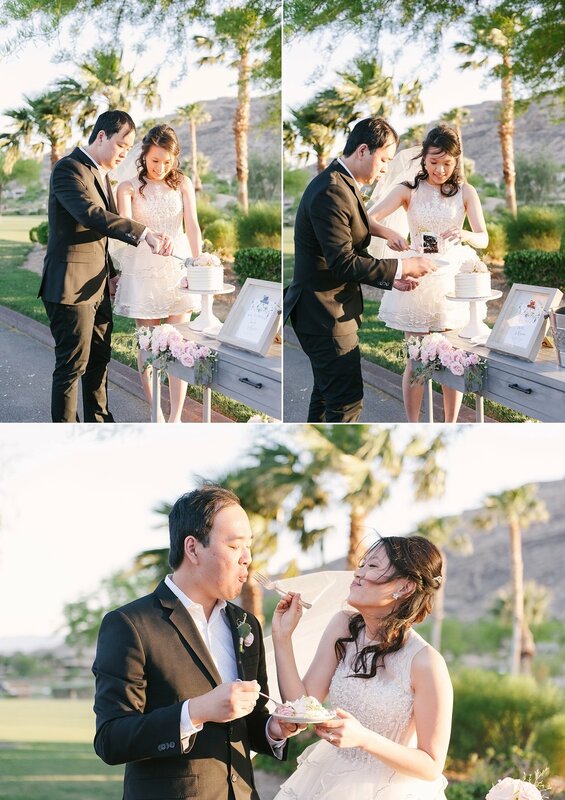 Following the ceremony, the couple popped some bubbly and cut their wedding cake!